Crystal Foot Deodorant Spray is made of Natural Mineral Salts which prevent foot odor and help control athlete's foot by creating an invisible protective barrier against odor-causing bacteria. 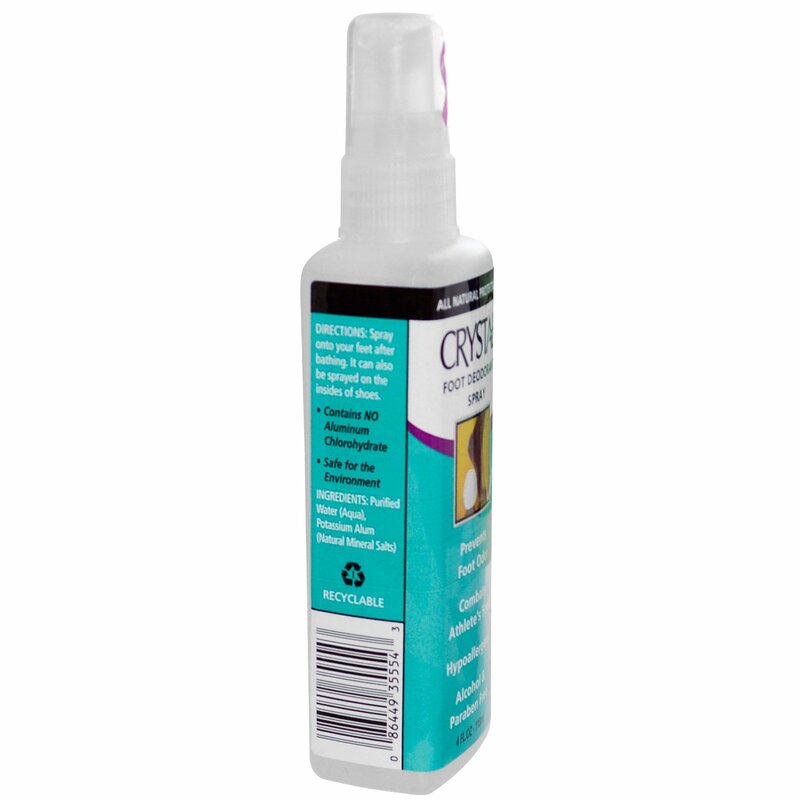 It is fragrance free, non-sticky, non-staining and leaves no white residue. 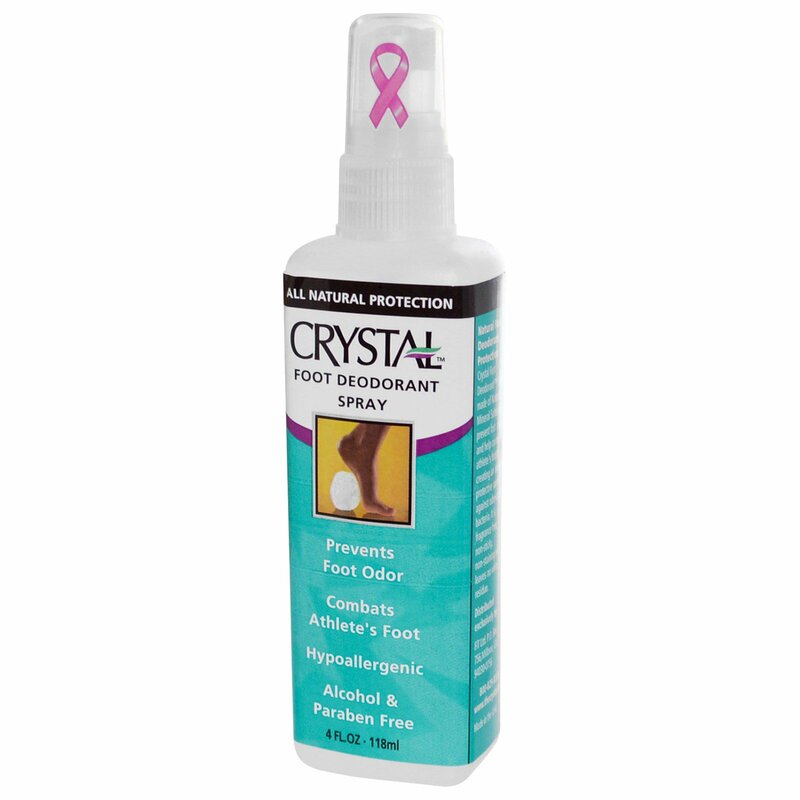 Spray onto your feet after bathing. It can also be sprayed on the insides of shoes. Water/aqua, potassium alum (natural mineral salts), sodium bicarbonate, benzoic acid, zinc gluconate.